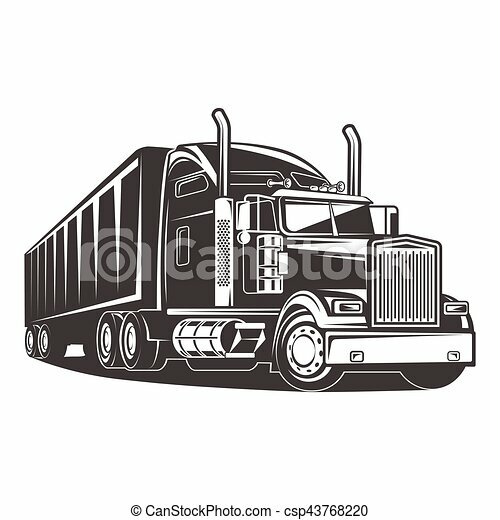 American truck trailer black and white illustration. 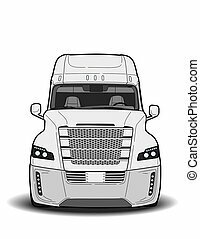 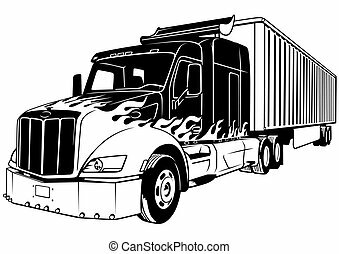 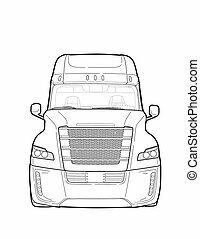 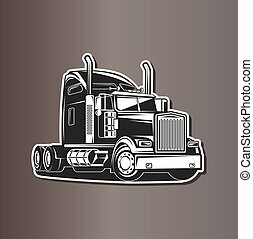 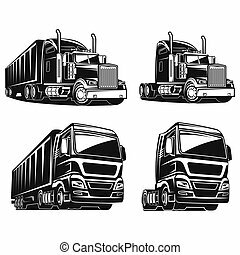 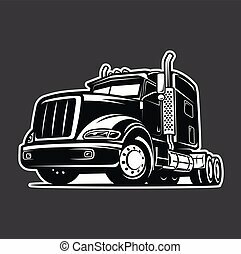 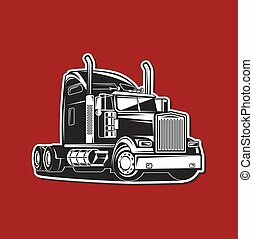 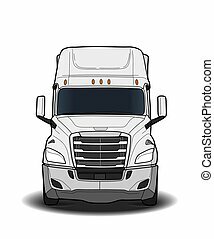 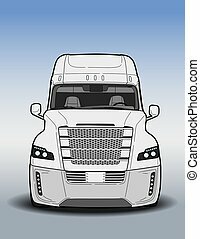 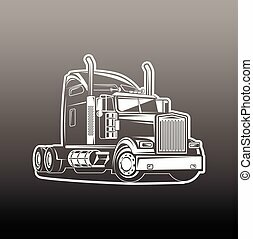 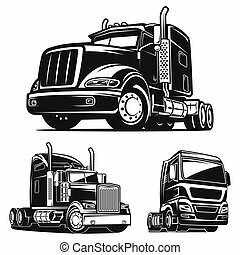 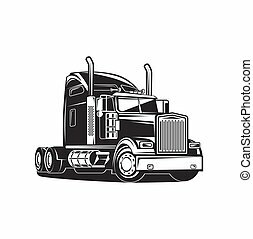 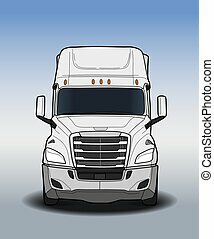 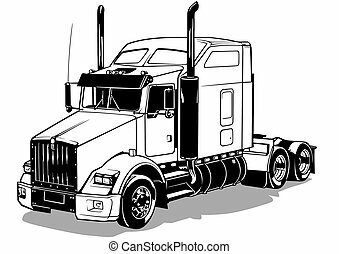 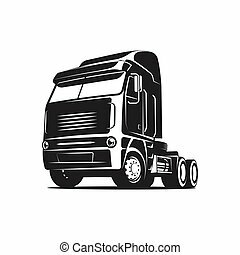 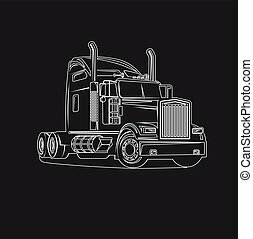 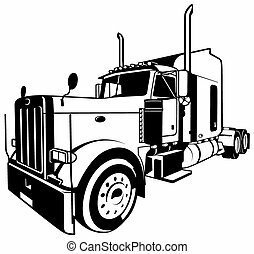 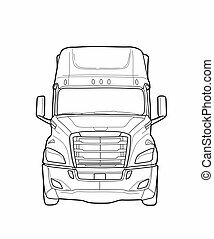 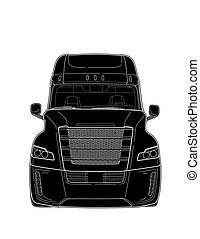 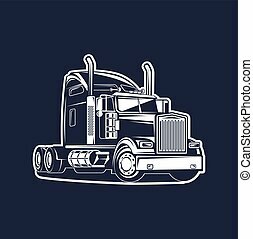 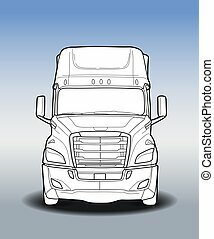 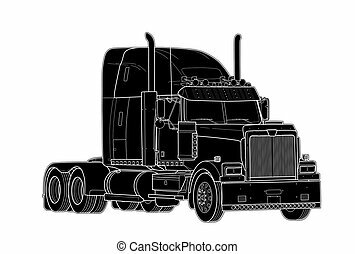 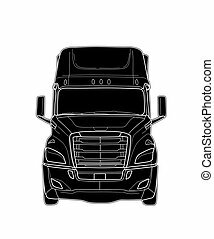 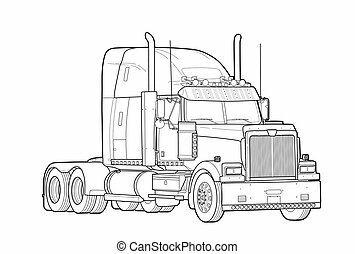 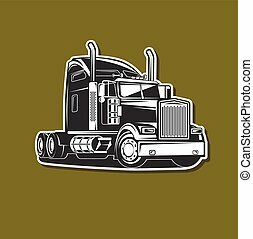 American truck trailer black and white vector illustration. 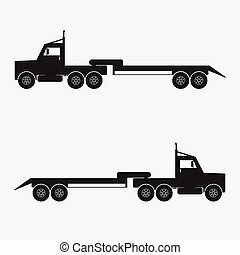 Trailer truck black color.Vector illustration.